Looser and less formal than the portraits that made him famous, this work was completed shortly before Van Dyck began a six-year stint in Italy. It follows the biblical description of Jesus Christ’s betrayal in the Garden of Gethsemane. 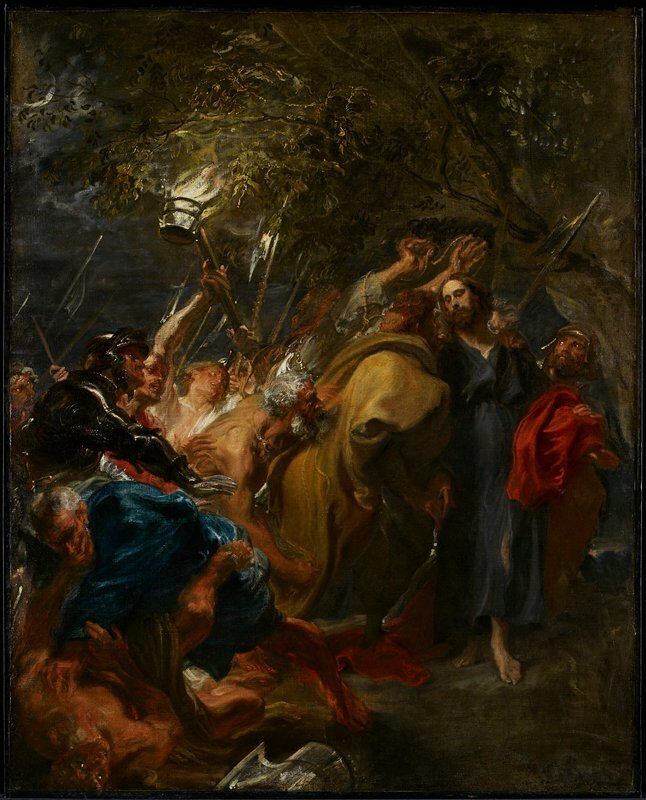 Judas, one of Jesus’ disciples, brings a band of soldiers and religious officers with lanterns, torches, and weapons to arrest Jesus, whom Judas identifies with a kiss. By the light of the phone?